Most people are not aware that dentistry is more than root canal procedures and treating cavities. It is also an excellent way to improve your appearance. Dentists have a wide array of tools and technologies available to enhance your smile. Also known as aesthetic dentistry, cosmetic dentistry refers to any procedure that is widely used to improve the look of gums and teeth. Though the primary focus is on enhancing the dental aesthetics including position, colour, shape, size and the alignment of the teeth, these procedures may or may not also improve the functionality. The addition of a dental material to gums or teeth such as laminates or cosmetic veneers, caps, bonding, and gum grafts. A gingivectomy, which is the removal of gum tissue. Other treatments do not involve the addition or removal of teeth, gums or dental materials but include procedures such as bleaching or whitening teeth. Orthodontics, which include the prevention and correction of mispositioned teeth as well as enhancing the overall appearance of the face. This is the most common dental procedure used by cosmetic dentists. When teeth become discoloured or stained due to a variety of reasons such as smoking and taking certain medications, your dentist may recommend bleaching your teeth. Although over-the-counter remedies are available, it is best to consult a dentist when you are looking to whiten your teeth. Cosmetic dentists use mock-ups to help prepare for the actual procedure by evaluating and determining the changes required with regards to the patient’s smile line and lip contour. A post made from titanium that is inserted into the bone. The abutment which fits over the implant. A crown to create a natural appearance. To correct a chip in a tooth. To alter the shape or length of a tooth. If problems such as crooked teeth or discolouration are a concern for you, visit Westboro Dental Clinic today. 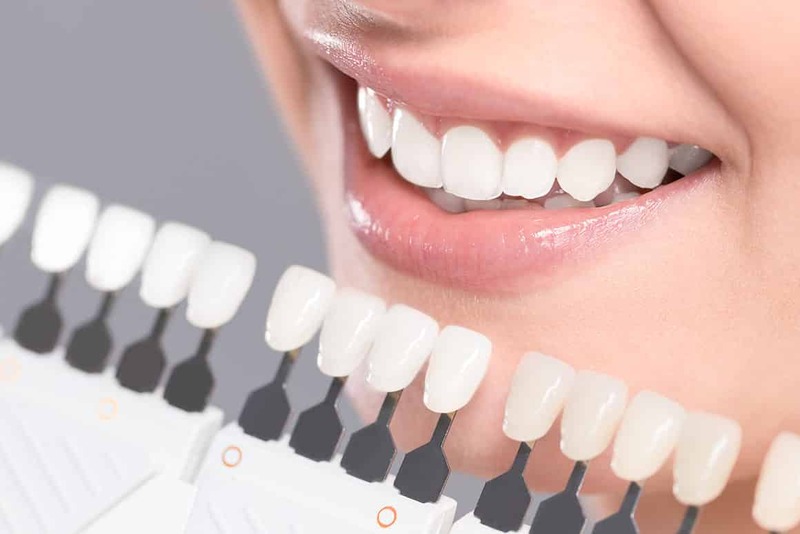 We have qualified dentists who can provide the best options for correcting them and help create a beautiful, healthy smile that you can be proud of. For more information about our dental treatments and services, get in touch with our consultants by calling 613-722-4450. You could also fill out our online form to book an appointment with our dentists.